Major League Baseball ventures into Australia to find new talent and fans. Australia has produced over 330 players who have signed professional contracts with Major League Baseball (MLB) clubs and boasts more MLB contracted players than talent pools from China and its province in Taiwan, Japan, Korea and Cuba. Australia set a country-best record earlier last year with nine Aussie players being called up to the major leagues. Now in 2012, there are now nearly 60 Australian players competing in the major and minor league circuits. 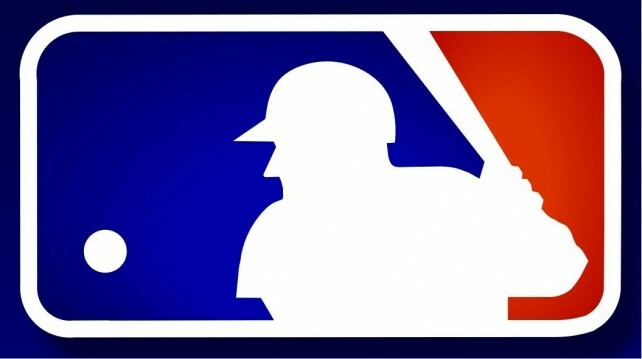 In total to date, there have been 35 Australian players who have successfully achieved MLB status. A's ace Grant Balfour plays to win games and nothing gets in the way of showing it. Leading the charge of the thunder ‘Down Under’ in Major League Baseball is Grant Balfour of the Oakland Athletics. Balfour is just one of two Australian professional players to compete in a World Series as a late-inning relief pitcher for the 2008 American League Champ Tampa Bay Rays. Acquired by the Rays in July 2007 from the Milwaukee Brewers in a trade sending pitcher Seth McClung to Miller Field, Grant Balfour did not make Tampa Bay’s opening 2008 roster. However, after turning heads at Triple-A Durham and closer Troy Percival being placed on the disabled list early into the season, the Rays sent Ben Zobrist to Durham in exchange for Balfour. Tampa Bay’s decision paid off immediately as the Aussie pitcher was worth his weight in gold. 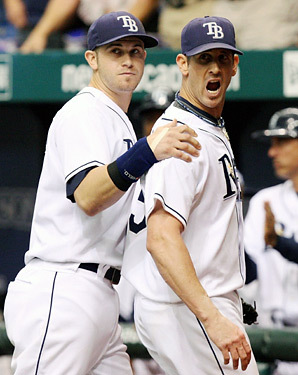 Evan Longoria holds back Grant Balfour from a potential clash. 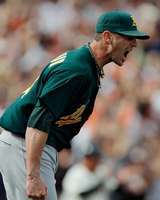 his 62 innings of relief for the A’s during 2011, Grant struck out 59 hitters and racked up five wins for the third-place Athletics. He also repeated his personal best 14 2/3 inning scoreless streak in 2011. Hideki Matsui congratulates A's closer Grant Balfour after yet another save. all-Australian battery with catcher Dave Nilsson in 1994. Bert Blyleven praised Hendriks on his first outing. He said, “From what I saw today, he deserves a B-plus. I thought he pitched very well, he did a good job. 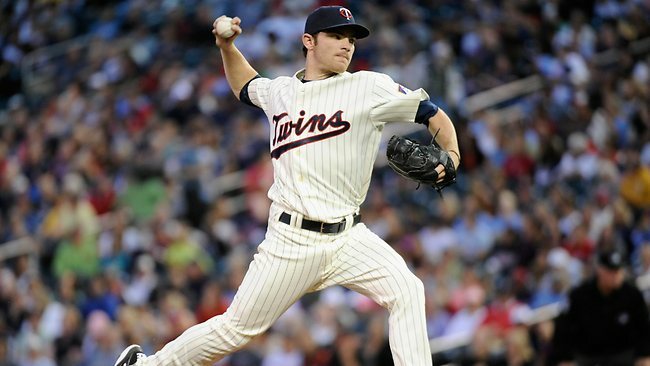 Liam Hendriks in his 2011 MLB debut. Hendriks controlled both sides of the plate, and he changed speeds well. He got through it with flying colors. Run support would be nice but you can’t always have that, but I thought he pitched a very, very good ballgame.” The elusive first win never manifested in four appearances this past season; however, Hendriks kept hitters guessing by striking out 16 in a combined 23 innings of work. 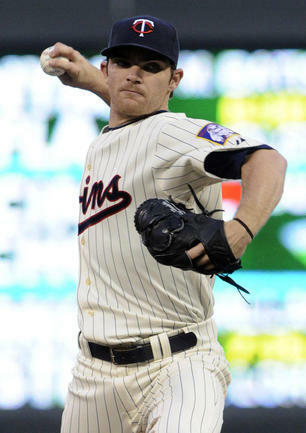 Liam Hendriks was signed by the Twins as a non-drafted free agent out of Australia’s Sacred Heart College in 2007. He made his professional debut as an 18-year-old that summer with the Single-A Rookie Gulf Coast League Twins. In his eleven starts in Florida, Hendriks went 4-2 with a 2.05 ERA. In 2008 he pitched for the Australian national team in the Final Olympic Qualification Tournament before undergoing season-ending back surgery. Prior to the start of the 2009 season, Hendriks returned on the hill for his country in the World Baseball Classic. Coming off a layoff, he then resumed play in the minor leagues, where he posted a 5-5 record with a 3.55 ERA in 14 starts. Hendriks was selected for the 2010 All-Star Futures Game, but was forced to miss the contest due to appendicitis. In 2011 he began the season at Double-A New Britain and went 8-2 with an impressive 2.70 ERA in 15 starts. 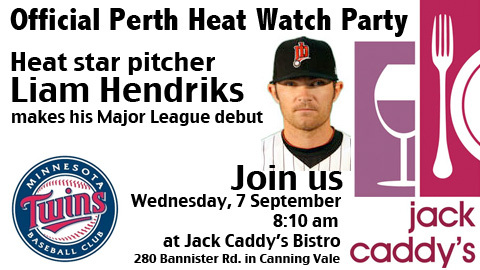 Hendriks was promoted on July 19th to Triple-A Rochester, where he tallied a 4-4 record with 4.56 in nine starts. 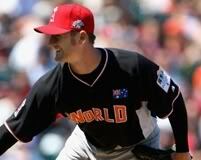 History would repeat itself the Aussie right-hander was once again selected to the World Team roster in the 2011 All-Star Futures Game. As if being chosen an All-Star for the second consecutive year was not enough, the six-foot-three, 210-pound Liam Hendriks was recently named the 2011 Jim Rantz Award winner as the Twins’ Minor League Pitcher of the Year after ranking second among all Twins Minor Leaguers in wins (12) and strikeouts (111). Hendriks has a promising future ahead in MLB. Facing Detroit Tigers’ Max Scherzer on the mound in his first major league at bat in April 2010, Luke Hughes slugged a home run out of the park. Perhaps an early indication of what was to follow in 2011 Twins Spring Training, Hughes showed a ton of promise with his bat and defensive position versatility. By leading the Twins with six home runs, 15 RBI, a .567 slugging percentage and 37 total bases in the preseason, there was no way manager Ron Gardenhire was going to send him back down to the minors again. 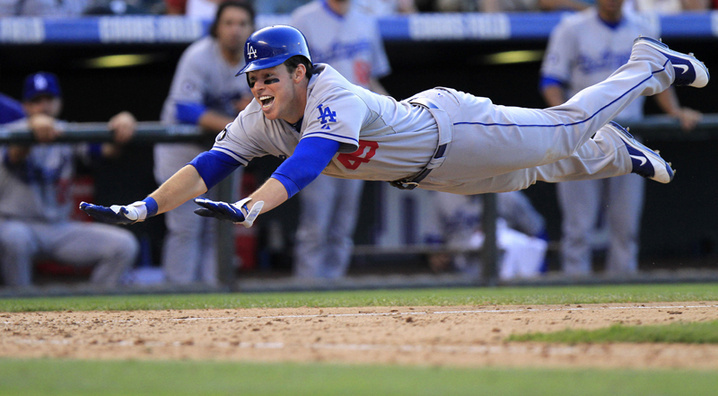 Luke played in 96 games as a utility infielder in his first full major league season in 2011. For an anemic Twins offense which ranked 25th of the 30 professional baseball teams, Hughes power was a welcome addition to Minnesota as he slammed seven home runs and racked up 30 RBI. The late-blooming 27-year-old Luke Hughes will certainly improve with more playing time as he becomes more familiar with some of MLB’s best pitchers. During the offseason, he played in 19 games for his hometown Perth Heat in the Australian Baseball League (ABL) and hit .344 with four home runs and 13 RBI. 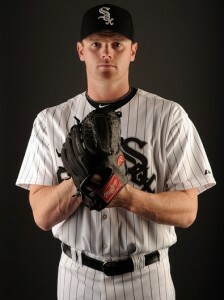 The explosive former Chicago White Sox pitcher Shane Lindsay was recently signed by the Los Angeles Dodgers. Going into 2011 Chicago White Sox Spring Training in Arizona, relief pitcher Shane Lindsay had a career minor league record of 19-14 with a 3.65 ERA in the NY Yankees, Colorado Rockies and Cleveland Indians organizations. Although he did not make the 25-man opening day roster, manager Ozzie Guillen and pitching coach Don Cooper were very much impressed with the 27-year-old career minor leaguer. So much in fact that when the roster expanded in September–it was graduation time to Major League Baseball for Lindsay. 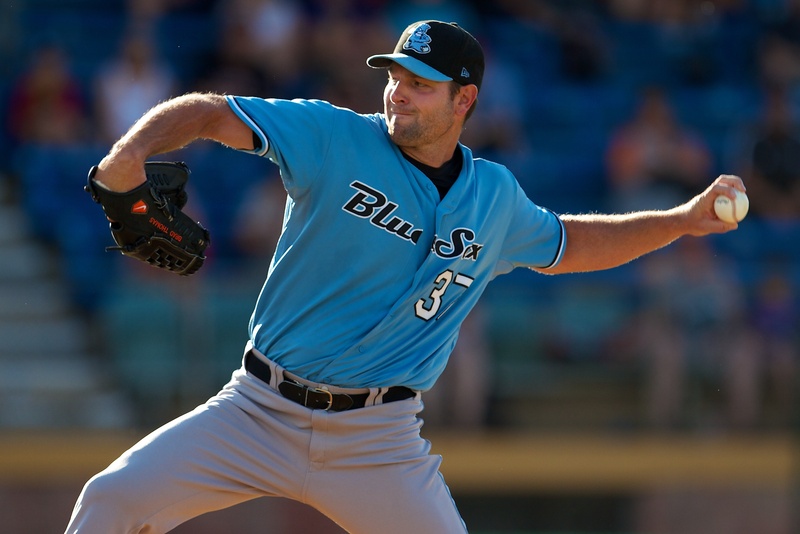 After posting a 1.98 ERA and punching out 78 in 63 innings of relief work at the Triple-A level, Shane was put to the test in his MLB pitching debut on September 2nd against the 2011 American League Central Division Champion Detroit Tigers. 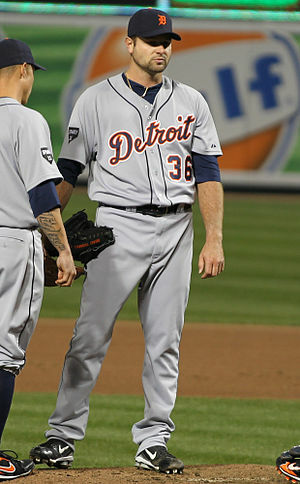 In his inning pitched as a reliever at Comerica Park, Lindsay allowed no hits with a strike out and a walk. The six-foot-one, two hundred five-pounder made three other relief appearances before the end of the season. Lindsay elected free agency in October 2011, and agent Paul Kinzer reported in November that his client had signed with the Los Angeles Dodgers. He will need to impress coaches at Dodgers Spring Training when pitchers and catchers report at the end of month at Arizona’s Camelback Ranch to make the 2012 Dodgers Opening Day roster. Most predict Shane Lindsay will begin as a member of the Dodger Triple-A affiliate Albuquerque Isotopes bullpen in anticipation of the MLB call up. Atlanta Braves sidearm reliever Peter Moylan is considered one of MLB's best groundball specialists and the chief bullpen stopper in pressure situations. 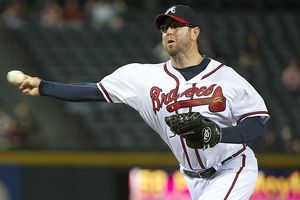 Former Australia World Baseball Classic team member and current Atlanta Braves 33-year-old reliever Peter Moylan underwent right shoulder surgery during the offseason to repair a torn right labrum and rotator cuff. The groundball specialist was encouraged by surgeon Dr. James Andrews’ projection that he would likely only need six months of rehab. Moyan said, “It is what it is and couldn’t have been avoided. It’s rough, but it just means my offseason will be spent rehabbing instead of relaxing. It’s not going to change anything. I’m still going to be ready to go by the end of spring.” Moylan has long been plagued by a series of injuries and surgeries. The Aussie pitcher missed most of the 2011 season after another surgery for a bulging disk in his back. Hitters cringe when facing the oddity Peter Moylan. With 287 game appearances under his belt in his on-and-off again six seasons in MLB, Moylan has been a workhorse out of the bullpen when not on the disabled list. After recovering from Tommy John surgery, the hard-throwing right-hander with his signature side-armed ‘down under’ delivery returned in fine form in 2009 and set a Braves franchise record 87 relief appearances. 2010 was equally as busy as his workload included 85 appearances in relief. Even for a reliever who has set the bar high with a respectable 2.60 ERA and 205 strike outs in his illustrious MLB career, there is a heightened sense of optimism that if Moylan returns healthy in 2012 that his personal best year for the Braves has yet to come. 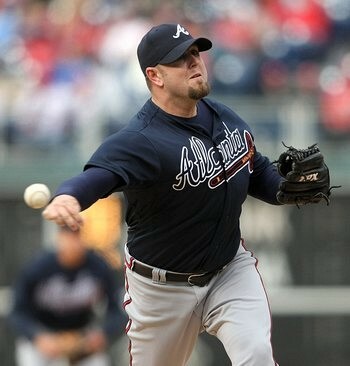 An Atlanta fan favorite out of the bullpen, Peter is also well-liked on Twitter–unless you are in the band Nickelback. Considered less than entertaining live, they were nearly booed offstage in Detroit on Thanksgiving. @PeterMoylan tweeted to Nickelback lead singer Chad Kroeger that he should attend a Foo Fighters concert to learn how to put on a good show. 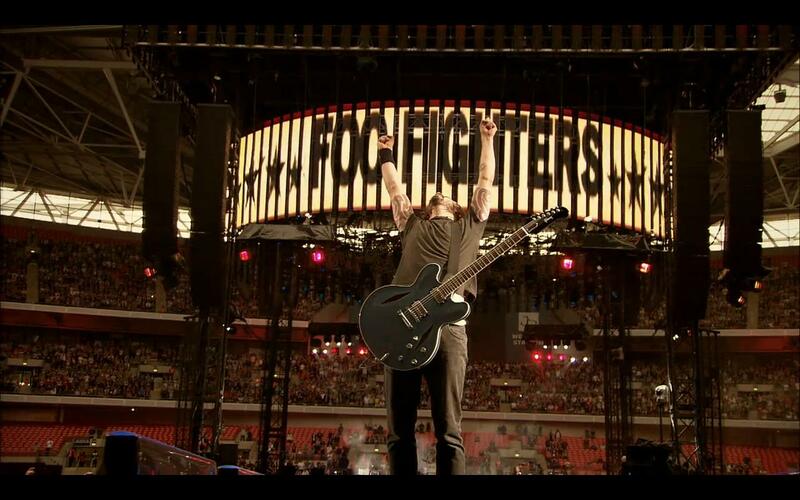 “Foos are killer for sure,” tweeted Kroeger. “We’re doing just fine too thanks. ? for you Pete, is watching [Braves closer Craig] Kimbrel better from the bench or on TV?.” Better cancel Atlanta boys!!! Worth following anywhere, Peter Moylan is top-notch entertainment. 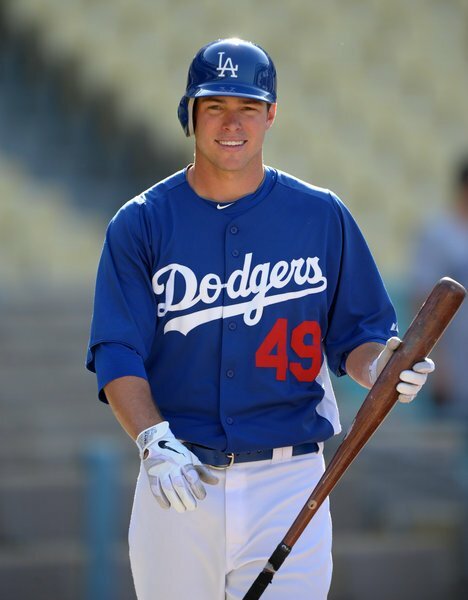 Trent Oeltjen of the Los Angeles Dodgers hopes to play everyday next to Matt Kemp. 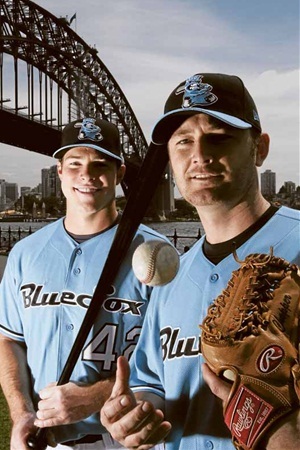 Trent Oeltjen and Rich Thompson strengthened their craft early on 'Down Under' and while playing in the Australian Baseball League for their hometown Sydney Blue Sox. The accolades continued as he was selected to the 2006 MLB All-Star Futures Game and the 2007 Baseball World Cup, where he led the international competition in three major categories. Batting an unstoppable .523, stealing seven bases and scoring nine runs, Oeltjen became the first Australian in the event tournament’s 37 years to make the All-Star team and win its Batting Award. “The World Cup really helped me turn around my career,” Oeltjen exclaimed. “It helped me get the confidence to know that I could play against some of the best players in the world. Since then I’ve found that my career has really turned around.” He was summoned once again for more Aussie baseball ambassadorship duty in the 2009 World Baseball Classic, where another strong offensive 6-for-12 batting frenzy ensued. Not surprisingly, his success for Australia coincided with another baseball dream realized. The aspiring and talented athlete spent nine years in the minor leagues before making his MLB debut for the 2009 Arizona Diamondbacks, thereby becoming Australia’s 27th member of the elite Major League Baseball fraternity. 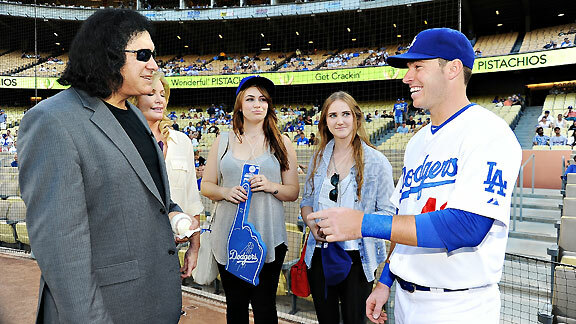 Gene Simmons of KISS, Shannon Tweed and their two children meet Trent Oeltjen at Dodger Stadium. On August 6, 2009, Oeltjen made the best of his MLB debut against the Pittsburgh Pirates by blasting his first major league home run over the right field wall off relief pitcher Jesse Chavez in the top of the 8th inning to tie the score in a game the D-Backs would win in extra innings. Leaving a lasting impression on baseball fans and international supporters who always believed in his athleticism, Oeltjen finished the game 2-for-6 with one RBI and two stolen bases. Deeply inspired by Hollywood, Trent Oeltjen does his own stunts and lives for dramatic storybook endings. After playing in 24 Diamondbacks games before the end of the 2009 season, Trent Oeltjen signed with the Dodgers in July 2010. He was assigned to Triple-A Albuquerque and later called up to the majors briefly at the end of the 2010 season. In June 2011, the left hand-hitting slugger earned his way back up to the major league level for good with a .339 batting average–including a sizzling .440 in May–racking up eight homers and 34 RBI in 56 Triple-A games. During the remainder of the 2011 season, Oeltjen played in 61 Dodgers games in the absence of Manny Ramirez. 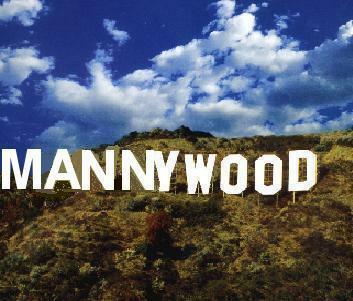 Despite a major letdown in Mannywood, it was all blue skies for the Aussie outfielder. He took full advantage of the opportunity to become an everyday player. However, 2012 will prove to be a critical season for the 29-year-old as he strives for a slot in the Dodgers Opening Day line-up. 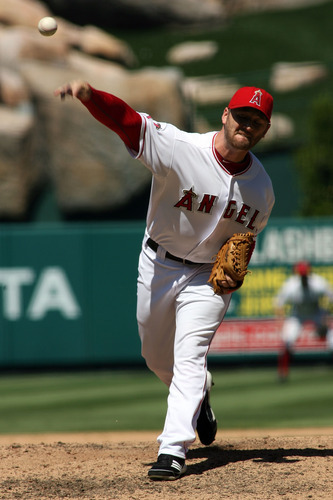 Rich Thompson of the Los Angeles Angels of Anaheim is one of the most underrated MLB pitchers and is critical to the success of the Halos. All-Stars in the 2011 Taiwan All-Star Series. Having played for the Australian national team during his junior and senior international career, Thompson was well aware of the young Chinese Taipei team’s talent and ability to compete. This time he made history as the 27-year-old Hornsby-native not only was the first of the 31 Australians to play Major League Baseball to be selected for a traveling All-Star Series team but also the first MLB pitcher to win two games in the five-game exhibition series. Enjoying a solid 2011 campaign for Halos manager Mike Scioscia, Thompson made 44 appearances and kept batters at bay with a 3.00 ERA. Best known for being a pressure situation reliever with men on base, Thompson comes through when called upon to deliver key outs in times of critical crises. LA Angel Manager Mike Scioscia pulls reliable reliever Rich Thompson for a strategic lefty-lefty match up. 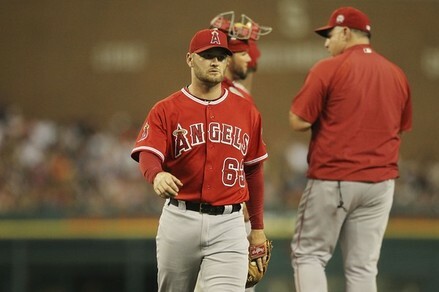 In 54 innings of work, the rally stopper struck out 56 hitters and solidified his position in the Angels bullpen. Seven years younger than senior mentor Grant Balfour, Thompson is in a better position in becoming the bright new face for Australian baseball players in the major leagues. When asked by OzMLBplayers blog what was the best advice he could give up-and-coming Australian baseball prospects, Thompson paused, reflected and thought back to some words of wisdom offered from a fellow Aussie. “When I was 13, I attended a two-day camp with Mark Shipley,” said Thompson. “Shipley’s advice was: Don’t drink. Don’t smoke. Always be clean-shaven. And church on Sundays. That always stuck with me. Since I can’t be bothered shaving and we play games on Sundays, I guess two out of four ain’t bad.” Thompson believes an improved attitude and a cutter that strengthened his arsenal of pitches led to the best season of his career. “I really felt like it was an attitude change. San Diego Padres lefty Josh Spence struck out the first batter he faced--Atlanta Braves' highly-prized 22-year-old Jason Hayward--in his MLB pitching debut at PETCO Park on June 24, 2011. 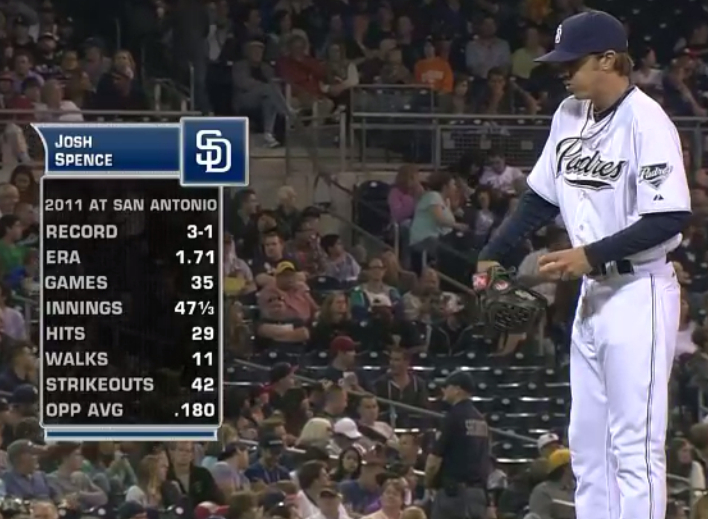 San Diego Padres believe in pitching ace Josh Spence and their future with him. Although he hails from Geelong, Australia, San Diego Padres southpaw Josh Spence began his collegiate pitching campaign at Central Arizona Community College, where in two seasons he stifled and rung up batters at an alarming rate (327 strike outs) to the tune of a whopping 1.40 ERA. Arizona State University (ASU) recruited Spence into their 2009 starting rotation, and the Sun Devils enjoyed a ride to the College World Series in Omaha, Nebraska as a result. Spence has proven that he can compete under pressure when it counts and deliver outstanding pitching performances when they mean the most. Josh Spence celebrating before going to the 2009 College World Series with Arizona State University. Teammates Mike Leake–named 2009 National Player of the Year by the American Baseball Coaches Association (ABCA) and current Cincinnati Reds starting pitcher–and Jason Kipnis–named a 2009 1st Team All-American by ABCA and current Cleveland Indians second baseman–witnessed first-hand the pitching magic of Josh Spence–named a 2009 2nd Team All-West Regions Honoree–as he compiled a 10-1 record with a 2.37 ERA during his junior year. It will make for an interesting 2012 ASU reunion this year between July 30 and August 2 at Cincinnati’s Great American Ballpark when Leake and Kipnis face Spence for the first time in opposing uniforms. Pitcher Josh Spence can be a hitter's worst nightmare on the hill when on target and in the zone. entire 2010 college season with a vague elbow injury. Regardless, the Padres still selected him in the ninth round of the 2010 draft, and he proved healthy enough to pitch 24 innings between rookie ball and the Midwest League. Prior to being called up to MLB in June 2011, Spence surrendered only 48 hits and struck out 84 with a remarkable 2.14 ERA in 71 innings pitched in the minor leagues. The 24-year-old continued his dominant pitching as a San Diego Padres reliever by striking out 31 hitters in 29 innings and posting a 2.73 ERA. Under the watchful eye of former Angels pitching coach and current manager Bud Black, Josh Spence possesses the tools to become not only a promising MLB starting pitcher but also a potential future Cy Young candidate. 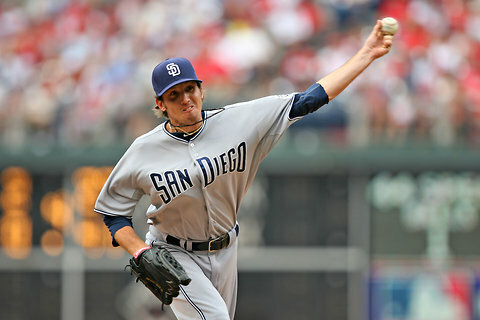 Padres’ faithful look for Josh Spence to have a breakout season in 2012. Free agent pitcher Brad Thomas waits patiently for another chance to play MLB after a baseball twist of fate changed the course of his life by avoiding a close call with tragedy when 9/11 travel plans cancelled due to postseason play. Postseason baseball–courtesy of former Minnesota Twins Double-A affiliate New Britain Rock Cats teammate Michael Cuddyer’s game-winning home run–saved the life of pitcher Brad Thomas. Changing his travel plans and ultimately his fate, Thomas would not leave on this particular date and flight to his native Australia because advancing to the Eastern League’s finals pushed back that trip for him. With airline tickets in hand for he and his wife, Kylie, on American Airlines Flight 11–which took off from Boston on September 11th destined for Los Angeles but instead crashed into the World Trade Center, Brad Thomas lived to tell his story. He commented, “Michael pretty much saved our lives single-handedly by knocking in the winning runs in the last of the playoff games that took us to the next round.” Cuddyer was Thomas’ first roommate in professional baseball in 1997. They played parts of the following seven seasons together, making their way up through the Twins minor league system. When Brad Thomas began pitching for the Detroit Tigers in the 2010, their friendship took a slight turn. Friend or foe–when pitching to an opponent, even a lifesaver–it’s a different ball game. In four career at bats facing the left-handed reliever, Cuddyer is hitless with a walk. Off the diamond, however, they are life-long bros. 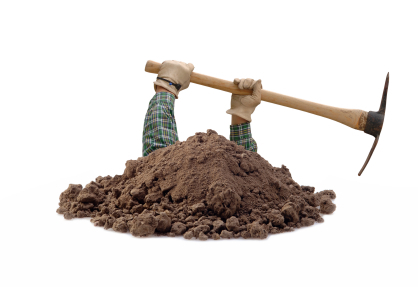 While Cuddyer continues to thrive in Minnesota, the future is unknown for the 34-year-old Thomas. With a 6-6 career record and a 5.80 ERA in Major League Baseball, it’s probable that this Aussie will be looking for another minor league deal or a return to Japan or Korea for another new lease on life in the world of baseball. He recently had a great abbreviated season in the Australian Baseball League with the Sydney Blue Sox. The Sydney native made four starts and five total appearances amounting to 22.1 innings pitched. 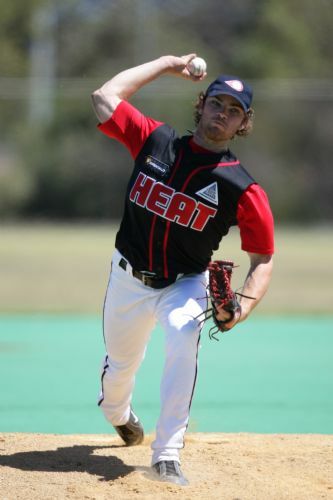 With a 2.42 ERA and a 1-1 record in the 2011-12 ABL season, Brad Thomas demonstrated that he is once again MLB ready. With a landmark partnership between the Australian Baseball Federation, Major League Baseball and the Australian Sports Commission, the sky is the limit for the recently revamped Australian Baseball League. 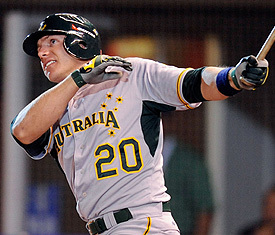 In an effort to propel baseball’s profile on the Australian sports landscape and foster participation in the game, the ABL seeks to showcase the wealth of talented Australian baseball players on their own home turf and to teach what their fellow Aussie predecessors from decades past have mastered in elevating the sport on the international level. Teams boast elite national players from across Australia along with personnel from Major League Baseball feeder clubs, the Nippon Professional Baseball League in Japan, the Korean Baseball Organization and the Chinese Professional Baseball League. The ABL pioneers the pathway of development for many emerging Australian baseball prospects as well as offers a vibrant alternative off-season league for games hosted in the northern hemisphere. Currently in its second season as Australia’s premier professional baseball competition with the 2012 ABL Championship Series between defending champ Perth Heat and challenger Melbourne Aces this weekend, be sure to tune in and watch the excitement of what is truly the ABL’s answer to the MLB World Series. 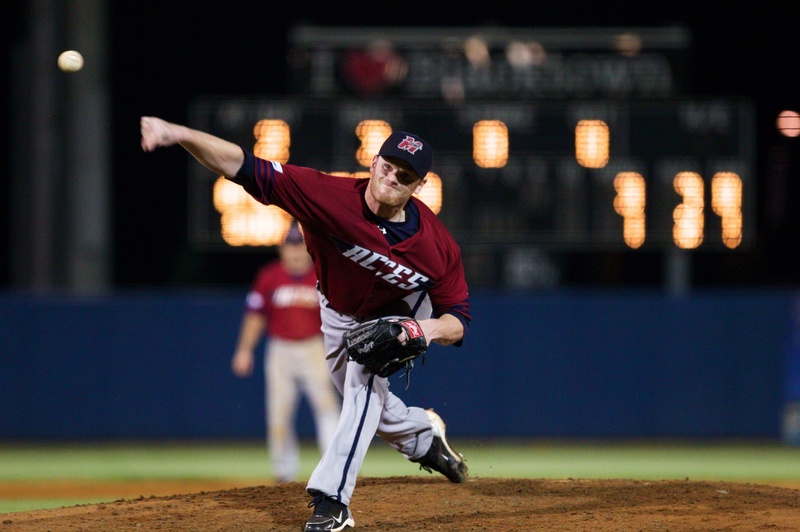 For further information on the Australian Baseball League, visit their official ABL website.